SNAFU! 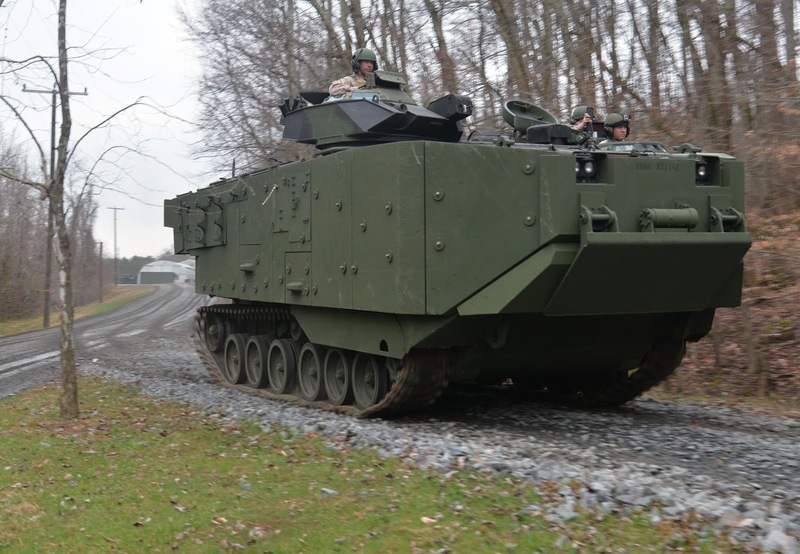 : USMC ACV/AAV7A2 trades terrain capability for survivability? USMC ACV/AAV7A2 trades terrain capability for survivability? The AAV7A2/Survivability Upgrade package and Amphibious Combat Vehicle (ACV) 1.1 and 1.2 are, aside from improving USMC sealift, focused on protecting against underbelly blasts from mines and improvised explosive devices (IEDs), Major Darrel Commander, a requirements officer within the USMC’s Assault Amphibian Vehicle programme, said on 15 November at the SMi Future Armoured Vehicle Survivability conference in London. Indeed, the AAV7A2 plans to upgrade four battalions-worth of vehicles with additional belly armour, integrated buoyant armour, blast attenuated seats, and an external armoured fuel tank, improving the vehicle’s underbelly blast survivability to approximately half that of a MRAP-type vehicle, according to Maj Commander. To compensate for the 11,000 lb additional weight burden of these elements, improvements to the vehicles’ powertrain, marine drive train, and suspension were also necessary. However, despite these, the AAV7A2 has a reduced capacity on soft soil and can carry one less dismount compared with the original AAV7. The two variants share the same capacity to operate at sea and the same weapons. Story here (most behind a paywall). With this upgrade the AAV picked up 5.5 tons? Has reduced capability on soft soil? I didn't see this coming and everything I've read seemed to indicate that this was an upgrade with no tradeoffs. We really need to see the cost of the program. Many have said and I'm beginning to wonder if this is even worth the effort.